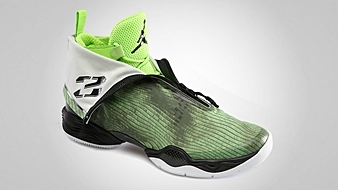 We have previewed the four of the five shoes that are included in the 2013 All Star Collection of Jordan Brand. 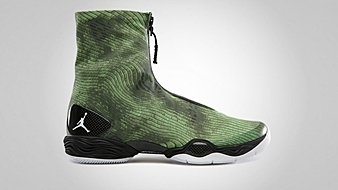 The last one, but definitely not the least is the Air Jordan XX8 that is also set to hit shelves. This kick will be released on Saturday, February 27, and will be known as the “All Star” or “Green Camo” edition of this interesting silhouette. We now have the official images of the kick and how it looks will definitely stir strong waves in the sneaker market this weekend. Grab your own pair this weekend for $250 quickly!